The Collingwood Group today announced the promotion of Mary Lou Christy from Senior Vice President to Managing Director of the organization. An industry veteran, Mary Lou will launch a new Investor Relations practice for The Collingwood Group. In addition, she will provide support to the firms growing hedge fund/private equity advisory business, furthering its relationships with hedge funds and private equity sponsors that have made significant investments in real estate related assets, including whole loan portfolios, mortgage back securities and critical vendors necessary to diligence, value and service real estate related assets, as well as identifying opportunities for the firm to make principal investments. The Collingwood Groups new Investor Relations practice comes at a critical time, particularly in light of the existing financial crisis which has exposed gaps in the ability of public firms to address their obligations to communicate with their investors, said Joe Murin, the firms Chairman and former President of Ginnie Mae. We also recognize that these principals apply to many private firms, as well — predominantly those that seek to expand their activities into the federal sector and need assistance in communicating their value proposition to the community of economic buyers in the Washington, DC area. Sending out accurate and proper messages is vitally important to any business that seeks to be successful in this arena. Mary Lou has extensive corporate experience leading Investor Relations and Marketing for several large cap financial companies. Prior to joining Collingwood in September 2010, Mary Lou held several executive-level positions at Fannie Mae, including Senior Vice President of Investor Relations, Vice President of MBS trading desk, and VP of Sales and Marketing in the Southwestern Region. 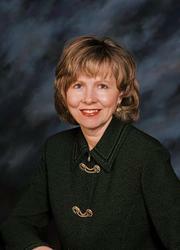 Earlier in her career, Mary Lou was a Regional Director at PMI Mortgage Insurance Company. Mary Lou’s specific areas of expertise include advising clients on ways to develop new business, expanding equity and debt ownership, creating transparent market disclosures, building high-performance marketing teams, and assisting executives on ways to communicate during financial, regulatory, and/or economic crises. She has an MBA in Business Management from University of Dallas and completed her undergraduate work at Villanova University. Mary Lou has done a phenomenal job as Senior Vice President of The Collingwood Group, and we are delighted to appoint her as Managing Director to launch and oversee the companys new Investor Relations practice, and to continue to support the firms growing hedge fund/private equity advisory business, said Brian OReilly, President and Managing Director of The Collingwood Group. Her experience has been and will continue to be an invaluable asset to the organization which will further help our clients build their businesses, drive growth, and accelerate value creation. The Collingwood Group (http://www.collingwoodllc.com) is a Washington, DC-based advisory firm focused on growing clients businesses, promoting revenue growth and increasing investment returns. The firm is led by Joe Murin, former President and CEO of Ginnie Mae, and Brian Montgomery, former Assistant Secretary for Housing and Federal Housing Commissioner. Both played major roles in the federal governments efforts to address the nations financial crisis and restore stability and liquidity to financial markets. The firms expertise spans all aspects of Agency, non-Agency and FHA/VA housing financing programs; Ginnie Mae securitization activities; domestic and international secondary market activities and issues; primary and special servicing; full asset lifecycle vendor and talent management; and all elements of portfolio acquisition, property management and asset disposition. Mortgage Harmony Corp. and The Collingwood Group today announced an alliance to help enhance market awareness of the HarmonyLoan to homeowners, homebuyers, loan originators and other mortgage finance professionals, and investors. Mortgage Harmony Corp. is a provider of innovative residential mortgage products and services that are designed to bring long-term stability to the housing finance industry. The Collingwood Group is a Washington, DC-based business advisory firm whose services include securing business opportunities within the public and private sector, as well as helping financial service companies comply with, interpret and operate effectively within the ever-changing regulatory environment. The HarmonyLoan is a ground-breaking residential mortgage product unlike any other. Its consumer-initiated interest rate-resetting mortgage aligns the interests of the consumer and the lending organization and professional in a way that is unprecedented in the industry, allowing homeowners to adjust their interest rates with the market without the cost and hassle of a traditional refinance or new mortgage. It is a product that will benefit consumers both financially and from a simplicity perspective, and will be an outstanding offering for financial professionals, who will enjoy greater customer retention and portfolio stability, along with superior financial security with these mortgages. We are delighted to join forces with Mortgage Harmony Corp., said Joe Murin, Chairman of The Collingwood Group. The HarmonyLoan product is a unique, win-win for everyone. A hassle-free, no-cost mortgage rate reset will give a homebuyer or homeowner greater economic security and control, and make the mortgage a more stable investment for the lender and other financial servicers. Brian Montgomery, Vice-Chairman of The Collingwood Group, agrees. In the current financial environment, our country needs new products that will help ensure that lenders sell homes to those that can afford them, the homebuyers can maintain accurate interest rates based on current levels, and foreclosures are minimized. The revolutionary HarmonyLoan promises to be able to provide these capabilities easily and cost-effectively. We will be happy to introduce this new product to our affiliates, so that they can in turn offer it to their clients. We are very excited to team with The Collingwood Group, said Keith Kelly, Chief Executive Officer and Founder of Mortgage Harmony Corp. The companys partners bring a wealth of knowledge, history and experience in the financial services industry that will be a wonderful addition to our efforts as we strive to ensure that consumers and lenders become aware of HarmonyLoan and the outstanding benefits it will bring to them. Patton Boggs LLP is pleased to announce today the formation of an innovative teaming arrangement with The Collingwood Group, LLC. The arrangement combines the strength of one of the nations premier law firms with one of the top business advisory groups in the financial services industry. Patton Boggs expertise on legal, regulatory and policy issues facing the mortgage banking industry will be further enhanced by The Collingwood Groups ability to assist clients in defining their business goals and identifying ways to strategically implement them. By leveraging the resources of both firms, clients will have access to a more complete solution to their industry-related needs. In working together, Patton Boggs and The Collingwood Group will provide clients with an unprecedented approach to navigating through industry hurdles, on both the legal and operational fronts. Patton Boggs and The Collingwood Group will also collaborate regularly on client-focused written materials, events and media outreach. Patton Boggs continues to be at the forefront of regulatory changes impacting the mortgage banking industry, including Dodd-Frank and other major rulemaking efforts by the Fed, HUD and the Consumer Financial Protection Bureau, as well as efforts by state and federal regulatory agencies to reshape the industry through enforcement action. The firms arrangement with The Collingwood Group is yet another way Patton Boggs can add value and efficiencies to the services were providing our clients, says Edward J. Newberry, managing partner. Patton Boggs Mortgage Banking Group, which is led by Partners Richard Andreano, John Socknat and Michael Waldron, will spearhead the teaming arrangement on behalf of the firm and in doing so, will work with The Collingwood Groups leadership, which includes Joe Murin, former President and CEO of Ginnie Mae, and Brian Montgomery, former Assistant Secretary for Housing and Federal Housing Commissioner. Mr. Murin and Mr. Montgomery both played major roles in the federal governments efforts to address the nations financial crisis and restore stability and liquidity to financial markets, and they remain in the spotlight due to their efforts at The Collingwood Group. Were delighted about the formation of this teaming arrangement with Patton Boggs. This collaborative effort represents the first of its kind in the mortgage banking industry, bringing together thought leaders on housing and real estate finance with leading legal minds that specialize in these areas. This collaboration will enable us to bring highly focused expertise to our respective clients that relate to legal and regulatory compliance within the mortgage banking and real estate finance industries, says Chairman Joe Murin. Collingwood Partner Brian Montgomery agrees, saying The Collingwood Group is pleased to be joining forces with a well-regarded firm such as Patton Boggs. With Patton Boggs legal proficiency and Collingwoods expertise in both the public and private sector mortgage and financial service industries, there now exists a new and exciting opportunity for both our organizations and most importantly for our clients. The teaming framework between the two firms will allow both to pursue, wherever appropriate, joint projects where the talents of both firms can be employed to meet potential client needs. Each firm will remain independent of the other. About Patton Boggs LLP Based in Washington, DC, Patton Boggs is a leader in public policy, litigation and business law, and is well known for its deep bipartisan roots in the U.S. political arena. The firms core practice areas are Public Policy and Regulatory, Litigation, Business and Intellectual Property. With offices in New York, New Jersey, Dallas, Denver, Anchorage, Northern Virginia and internationally in Doha, Qatar and Abu Dhabi, United Arab Emirates, more than 600 lawyers and professionals provide comprehensive, practical and cost-effective legal counsel to clients around the globe. For more information, visit us at http://www.pattonboggs.com. The Collingwood Group is a Washington, DC-based advisory firm focused on growing clients businesses, promoting revenue growth and increasing investment returns. The firms expertise spans all aspects of Agency, non- Agency and FHA/VA housing financing programs; Ginnie Mae securitization activities; domestic and international secondary market activities and issues; primary and special servicing; full asset lifecycle vendor and talent management; and all elements of portfolio acquisition, property management and asset disposition. For more information, visit: http://www.collingwoodllc.com. The Collingwood Group LLC is pleased to announce today the formation of an innovative teaming arrangement with Patton Boggs LLP. The arrangement combines the strength of one of the nations premier law firms with one of the top business advisory groups in the financial services industry. Were delighted about the formation of this teaming arrangement with Patton Boggs. This collaborative effort represents the first of its kind in the mortgage banking industry, bringing together thought leaders on housing and real estate finance with leading legal minds that specialize in these areas. This collaboration will enable us to bring highly focused expertise to our respective clients that relate to legal and regulatory compliance within the mortgage banking and real estate finance industries, says Chairman Joe Murin. Collingwood Partner Brian Montgomery agrees, saying The Collingwood Group is pleased to be joining forces with a well-regarded firm such as Patton Boggs. With Patton Boggs legal proficiency and Collingwoods expertise in both the public and private sector mortgage and financial service industries, there now exists a new and exciting opportunity for both our organizations and most importantly for our clients. Based in Washington, DC, Patton Boggs is a leader in public policy, litigation and business law, and is well known for its deep bipartisan roots in the U.S. political arena. The firms core practice areas are Public Policy and Regulatory, Litigation, Business and Intellectual Property. With offices in New York, New Jersey, Dallas, Denver, Anchorage, Northern Virginia and internationally in Doha, Qatar and Abu Dhabi, United Arab Emirates, more than 600 lawyers and professionals provide comprehensive, practical and cost-effective legal counsel to clients around the globe. For more information, visit us at http://www.pattonboggs.com. The Collingwood Group today announced the opening of an office in New York City, New York. With its expanding New York client base, a dedicated New York office will enable The Collingwood Group to more effectively support the firms New York-based financial services clients. The new office, located at 245 Park Avenue, 24th Floor, New York, New York 10167, will be run by Managing Director Mark DeGennaro. The Collingwood Group headquarters will remain in Washington, D.C. at 1700 Pennsylvania Avenue, N.W. Establishing this office represents a significant milestone for The Collingwood Group, said Joe Murin, Chairman. Collingwoods success in New York affirms the validity of the firms strategy that, especially during this period of market upheaval and unprecedented legislative and regulatory change, hedge funds, private equity groups and other large financial institutions would benefit from the unique Washington insight and guidance of a DC-based business advisory firm. The Collingwood Group (http://www.collingwoodllc.com) is a Washington, DC-based business advisory firm focused on growing clients businesses, promoting revenue growth and increasing investment returns. The firm is led by Joe Murin, former President and CEO of Ginnie Mae, and Brian Montgomery, former Assistant Secretary for Housing and Federal Housing Commissioner. Both played major roles in the federal governments efforts to address the nations financial crisis and restore stability and liquidity to financial markets. The firms expertise spans all aspects of Agency, non-Agency and FHA/VA housing financing programs; Ginnie Mae securitization activities; domestic and international secondary market activities and issues; primary and special servicing; full asset lifecycle vendor and talent management; and all elements of portfolio due diligence, acquisition, property management and asset disposition. The Collingwood Group announced today that it has retained Manoj K. Singh as a Special Advisor, working with the Collingwood Group to bring his unique expertise in risk management along with his senior level experience on Wall Street. In his new role, Dr. Singh will work with The Collingwood Group to further help clients navigate the business opportunities that exist in Washington as a result of the housing crisis. Dr. Singh has a lengthy and strong background in Financial Services. Most recently Senior Vice President of Pricing and Securitization (Single Family) and, before that, Senior Vice President, Head of Market Risk Management for Freddie Mac, he worked closely with the credit guarantee business, managed the profitability of the Single-Family Credit Guarantee business, identified key drivers of credit risk, and developed recommendations for the corporate costing models, creating strategies to expand and improve Freddie Macs mortgage securities funding alternatives and overseeing its cash execution program. His primary responsibilities included pricing the guarantee fees under Freddie Macs Mortgage Backed Securities Program and the issuance of pass-thru as well as structured securities. In addition to Single-Family Sourcing, Dr. Singh worked closely with Credit Management, Investments & Capital Markets, Credit and Counterparty Risk Management, and Operations. Prior to joining Freddie Mac, Dr. Singh held executive-level positions with Bear, Stearns & Co (Senior Managing Director, FAST Group), Lehman Brothers, Inc. (Senior Vice President, Risk Management), and Wasserstein Perella Capital Management (Vice President, R&D). His thirteen years of experience with Wall Street provided him with the knowledge to help investors pursue mortgage and real estate assets while enabling them to identify the true risks and value of their targets. His career started in academia, as Assistant Professor of Finance at Boston College. We are delighted to welcome Manoj to The Collingwood Group team, said Tim Rood, a Partner with The Collingwood Group The Collingwood Group announced today that it has retained Manoj K. Singh as a Special Advisor, working with the Collingwood Group to bring his unique expertise in risk management along with his senior level experience on Wall Street. In his new role, Dr. Singh will work with The Collingwood Group to further help clients navigate the business opportunities that exist in Washington as a result of the housing crisis. We are delighted to welcome Manoj to The Collingwood Group team, said Tim Rood, a Partner with The Collingwood Group. We have advised our clients that the watershed moment of asset sales is upon us and his unique expertise will be invaluable to our private equity and hedge fund clients looking to buy or sell mortgage and real estate assets”. Brian Montgomery, Vice Chairman of The Collingwood Group, agrees. Manoj brings a unique set of skills to our company and our clients that will further enhance our competencies in providing an integrated mix of high level business advisory services. His involvement with our firm will supplement our already wide range of proficiencies in assisting our financial services clientele. Dr. Singh received his Bachelors Degree from the Indian Institute of Technology in Kanpur, and both his Masters of Science Degree and his Ph.D. from Purdue University. His has published numerous research publications, and is a frequent presenter at industry conferences. He has refereed journals such as Management Science, Journal of Financial and Quantitative Analysis, Journal of the American Real Estate and Urban Economics Association, and Journal of Financial Research, and was a book reviewer for the Journal of Finance. He and his family live in McLean, Virginia. The Collingwood Group announced today that Tom Cronin has joined the firm as a Managing Director. In his new role, Cronin will lead The Collingwood Groups secondary market initiatives. Cronin will support The Collingwood Groups ongoing efforts helping clients navigate the business opportunities that exist in Washington and the housing finance industry. Cronin has more than 35 years of mortgage industry experience. Most recently, he served as Senior Managing Director of Clayton Holdings, Inc., responsible for the areas of industry, corporate and government relations. The Collingwood Group announced today that it has retained Ray Romano as Senior Advisor, working with the Collingwood Group to bring his unique expertise and executive leadership in the areas of risk management for consumer and multi-family mortgage products. Romano is a mortgage finance industry veteran with more than 26 years of wide-ranging experience in the areas of credit risk, operations risk, mortgage servicing, financial management, strategic planning, and capital markets. In his new role, Romano will work with The Collingwood Group to further help clients navigate the business opportunities that exist in Washington as a result of the housing crisis. Romano has a lengthy and distinguished background in Financial Services. Most recently he served as executive vice president and chief credit officer at Freddie Mac. Prior to joining Freddie Mac, where he began as senior vice president of Credit Risk Oversight, Romano held executive level positions with Washington Mutual (SVP chief credit and risk management officer Home Loans Group), North American Mortgage Company (SVP chief credit & compliance officer, Mortgage Banking), and Dime Savings Bank of New York, FSB (VP director of Underwriting Operations). Early in his career, he was assistant manager of CitiCorps North American Investment Bank in New York and Assistant Supervisor, Residential Lending Operations with The Dime Savings Bank of New York, FSB. Ray brings strong leadership and valued expertise in an area that is highly needed in todays mortgage market, said Brian Montgomery, vice chairman of The Collingwood Group. His involvement with our firm will supplement our already wide range of proficiencies in assisting our financial services clientele. Tim Rood, a partner with The Collingwood Group, agrees. We are delighted to welcome Ray to The Collingwood Group team. His vast experience in risk and credit management will help us to even further enhance the benefits that The Collingwood Group brings to our clients. Romano received his Bachelors Degree in finance and economics from Long Island University. The Collingwood Group (Collingwood) is pleased to announce that it has entered into a strategic partnership with Valued Veterans, a service disabled veteran-owned small business that provides professional residential and commercial property valuation services. In keeping with its long-standing commitment to promote diverse supplier companies, including service disabled veteran, minority, and women-owned business, Collingwood will work with Valued Veterans to help identify and close opportunities to expand its business into the federal sector, where today the companys penetration is limited. In addition, Collingwood will work with the company to grow its already sizeable commercial sector business by expanding its footprint to include major financial services companies. In the current economic environment, in particular, many diverse suppliers lack access to both opportunity and capital, and therefore their ability to scale is impeded and their opportunities for success are limited. The Collingwood Group helps qualified diverse suppliers overcome these challenges. In addition to delivering best-in-class real estate valuation services, Valued Veterans actively supports veterans that seek to develop careers in the valuation services industry through its appraisal mentor program. We are pleased to establish this important business relationship with Valued Veterans and honored by the opportunity to support our nations veterans as we work to grow Valued Veterans success in the financial services industry, said Brian Montgomery, Chairman of The Collingwood Group. Brian OReilly, President of The Collingwood Group, agrees. Since its founding, The Collingwood Group has actively supported and incubated best-in-class diverse supplier businesses to meet the ever-increasing counter party requirements of large financial services companies and federal departments and agencies. The barriers to success for diverse and service disabled businesses are similar to those encountered by many small, non-diverse firms, said OReilly. Andrew Belt, President and CEO of Valued Veterans, established the organization, which has a mission to, among other things, promote stewardship and public trust, provide exceptional quality mortgage related products, and put Veterans to work. Belt served in combat as a United States Marine Corps Platoon Sergeant with 2nd Light Armored Reconnaissance, where he received a Combat “V” for personal valor. Collingwood has a proven track record of success assisting firms of all sizes grow their businesses in meaningful ways, said Belt. In particular, Collingwood and its team understand the unique business challenges faced by diverse service provider businesses and possess the skills, access to opportunity and capital, and industry standing required for a small business to succeed and grow in this dynamic industry. We are proud to join forces with the Collingwood team, Belt continued. The Collingwood Group (http://www.collingwoodllc.com) is a Washington, DC-based business advisory firm focused on growing clients businesses, promoting revenue growth and increasing investment returns. The firm is led by Brian Montgomery, former Assistant Secretary for Housing and Federal Housing Commissioner and by Joe Murin, former President and CEO of Ginnie Mae. Both played major roles in the federal governments efforts to address the nations financial crisis and restore stability and liquidity to financial markets. The firms expertise spans all aspects of Agency, non-Agency and FHA/VA housing financing programs; Ginnie Mae securitization activities; domestic and international secondary market activities and issues; primary and special servicing; full asset lifecycle vendor and talent management; and all elements of portfolio due diligence, acquisition, property management and asset disposition. Based in Overland Park, Kansas, Valued Veterans is a service disabled veteran-owned small business. Valued Veterans provides professional Residential and Commercial Valuation Services. With an intense focus on customized personal service, Valued Veterans uses cutting-edge technology to effectively manage every product order from start to finish. Its experienced management team is made up of appraisers and former mortgage industry professionals with over 120 years of combined residential real estate experience. Valued Veterans ensures each and every service provided is performed with the highest level of quality and compliance. As President and CEO of Valued Veterans, Andrew Belt promotes strong core values with honor and commitment. The Collingwood Group (Collingwood) is pleased to introduce its new offering — a series of industry conference calls — which will begin with a February 9, 2012 call entitled FHA Enforcement: Myths, Misconceptions and Facts. This call series comes as a result of Collingwoods launch of its new Risk Management and Compliance Division, established with its January 1, 2012 acquisition of GWN Consulting, LLC (GWN), a firm specializing in Federal Housing Administration (FHA) and Ginnie Mae risk management and quality control. Collingwoods Risk Management and Compliance Division staff brings to the organization extensive FHA and Ginnie Mae knowledge and experience, and plans to share information on an ongoing basis with Collingwood clients and other industry colleagues. As part of this effort, the team will launch a series of educational conference calls, beginning with the first call FHA Enforcement: Myths, Misconceptions and Facts focusing on FHA Enforcement, Quality Assurance and Inspector General reviews and the Mortgagee Review Board. The call, offered at no cost to participants, will be held on February 9, 2012, at 2:00 p.m. Eastern Time. The call will be led by Collingwood Group Chairman and former FHA Commissioner Brian Montgomery, who will moderate a discussion between Karen Garner, Collingwood Group Managing Director and former HUD compliance manager and GWN Principal, and David Hintz, former Secretary to the HUD Mortgagee Review Board. It will also serve as an introduction to the services that the Risk Management and Compliance Division will offer. Additional calls will be held moving forward, covering potential topics such as FHA Loss Mitigation tools, Ginnie Mae compliance reviews, and compliant and effective quality control plans. This is a critical time for lenders and servicers struggling with compliance, litigation and claims management issues related to their FHA and Ginnie Mae operations, said Montgomery. The experience, insight, and relationships of our new Risk Management and Compliance Division staff can provide substantial information that will be helpful to these organizations in developing proactive, preventative activities in their compliance efforts. With FHA toughening its standards, rules and penalties, and with volume that has grown to historically high levels, lenders and issuers can reasonably expect corresponding increases in the level of FHA audit, enforcement actions, and penalties. The goal of Collingwoods Risk Management and Compliance Division is to assist its clients with capabilities that now include FHA and Ginnie Mae lender/issuer applications and re-certifications, preparation and responses to audits or reviews, origination or servicing compliance and best practices, claims management and recoveries, program manuals and operating guides, and development of written and program training. Garner is proud of the new divisions capabilities, saying, With our upcoming conference call series and new services, we are confident that we can provide substantial assistance to lenders and servicers as they focus on quality control activities that will enable them to proactively monitor performance and mitigate risk. The Collingwood Group (http://www.collingwoodllc.com) is a Washington, DC-based business advisory firm focused on growing clients businesses, promoting revenue growth and increasing investment returns. The firm is led by Chairman Brian Montgomery, former Assistant Secretary for Housing and Federal Housing Commissioner, and Vice Chairman Joe Murin, former President and CEO of Ginnie Mae. Both played major roles in the federal governments efforts to address the nations financial crisis and restore stability and liquidity to financial markets. The firms expertise spans all aspects of Agency, non-Agency and FHA/VA housing financing programs; Ginnie Mae securitization activities; domestic and international secondary market activities and issues; primary and special servicing; full asset lifecycle vendor and talent management; and all elements of portfolio due diligence, acquisition, property management and asset disposition. Visit http://www.directeventreg.com/registration/event/46706588 for additional information on The Collingwood Groups February 9, 2012 conference call FHA Enforcement: Myths, Misconceptions and Facts or to register for the call.